Zucchini is one of the easiest things to grow in your vegetable garden, and even inexperienced gardeners can have a successful harvest. As long as you have the space to grow these large plants that tend to sprawl, you can have enough zucchini to keep you, your friends and your neighbors well stocked for months. 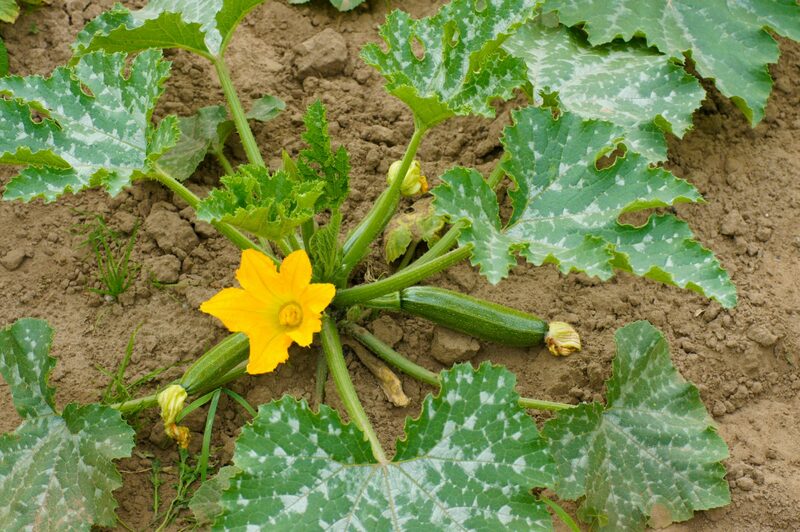 There is not a lot to know when growing zucchini, but there are a few things that are critical, such as preparing the soil and knowing how to avoid common issues that can ruin your crop. Here is all you need to know to plant, maintain and harvest zucchini in your garden. What is the Best Soil for Zucchini? The best soil for zucchini is well draining and nutrient dense. 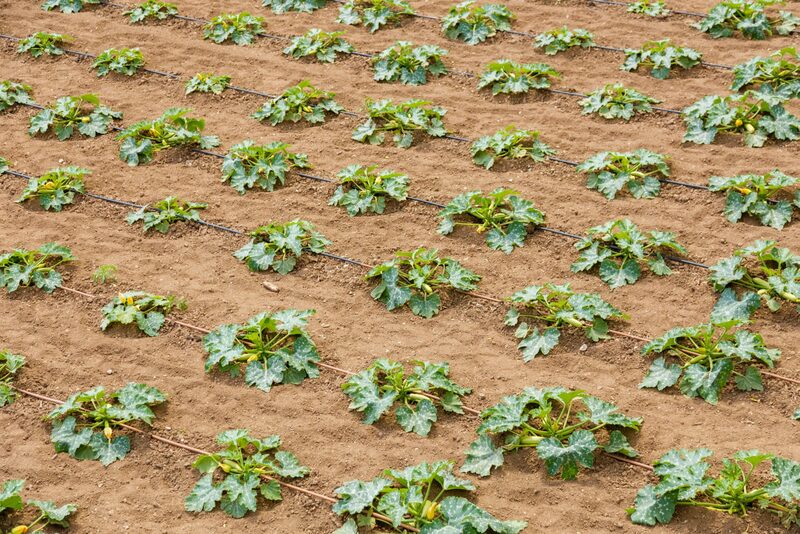 Of course, if you are growing zucchini in Southern California, you are more likely working with clay soil that does have lots of nutrients but does not drain well and does not allow for the air circulation that plants need to thrive and be able to use those nutrients. Additionally, the fragile roots of most vegetable plants have a hard time pushing through clay soil and, due to the poor drainage, clay soil can rot roots and bulbs during the rainy season or if you over-water. Therefore, if you want to grow zucchini or any other vegetables in your Southern California garden, you are most likely either going to need to plant in raised garden beds or amend your soil to make it more amenable for food plants. The easiest way to get around clay soil is to install raised garden beds. This allows you to easily add well-draining soil on top of the clay and to have more control of your soil content moving forward. If you install low garden beds, you will still want to work the clay soil beneath the beds and add organic matter to make the soil lighter to allow for air circulation and root growth. If you build garden beds that are at least 12 inches deep, you can skip the hard labor and simply add well-draining soil on top of the clay. If you choose to grow zucchini or other vegetables in the ground, you will need to till the soil at least eight inches down, but preferably 12 inches, and add compost, gypsum, sand or other organic matter. Thoroughly mix the compost or other matter into the clay before planting. When is the Best Time to Plant Zucchini Plants? The best time to plant zucchini depends on where you live. In Southern California, it is generally best to plant your zucchini in April, May, June or July. If you want to extend your harvest with succession planting, make sure your last seeds are in the ground by mid-august. 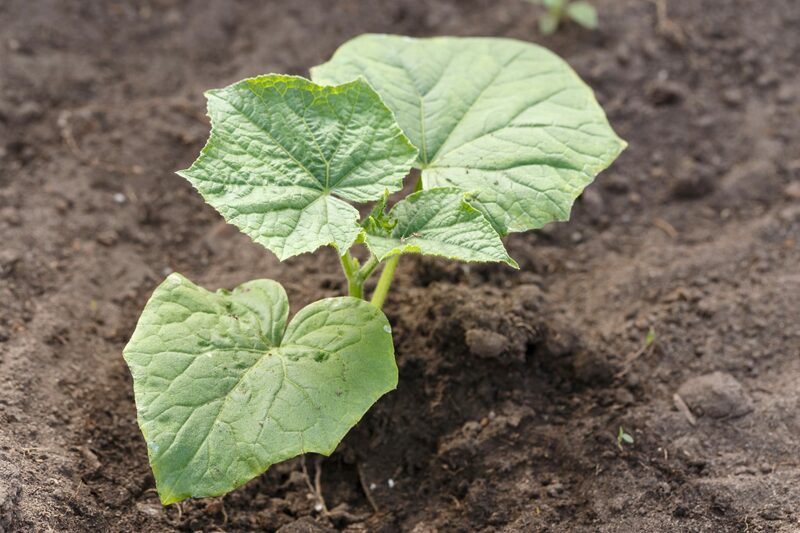 You can reduce your risk of squash vine borers destroying your plants by holding off on sowing your seeds until July. Should I Plant Zucchini from Seeds or Seedlings? Zucchini grown from seeds or seedlings usually does equally well in Southern California. Seeds are less expensive and can be started in the ground. They do not need to be started indoors in seed pots and will germinate quickly when directly sown in your garden. Seedlings will be a little more expensive to purchase at your local nursery, but they give you a head start and are easier for some gardeners. Zucchini plants take up a lot of space in backyard gardens, so make sure you can dedicate a large area to them before planting. If you are going to allow your zucchini plants to naturally vine out across the ground, you need to plant them at three feet apart in rows that are about eight feet apart. Alternatively, you can hill them by planting two to four seeds together on a short mound, which increases the chances of pollination. If you do not have this much space available, you can cage your zucchini plants to provide support for vertical growth. When growing zucchini in cages, you can plant them about two feet apart. How Often Should I Water Zucchini Plants? Zucchini plants require moist soil while they become established, but it needs to be well draining, and they will not do well in soggy soil. Once established, give your zucchini about one inch of water per week. Keep in mind that consistent watering is necessary to help prevent blossom-end rot. During hotter months, more frequent watering may be necessary. Adding a layer of mulch around your plants can help the soil retain moisture between watering. Zucchini is very easy to grow and requires little maintenance. Add a thick layer of mulch around your plants to retain soil moisture and inhibit weed growth. Pull weeds regularly so that they will not compete with your food plants for food and water. As mentioned above, give your plants one inch of water per week. You may need to water more often during hotter months. Some gardeners have issues with pollination. One way to avoid this is to invite pollinators to your garden by planting herbs and flowers near your garden beds. If this is not enough to produce a good harvest, you may need to get a little more hands on and use a cotton swab or small, soft paint brush to gather pollen from male blossoms and transfer it to the female blossoms. You can tell which blossoms are male and which are female by looking just below the blossom: Female flowers have fuller stems that almost look bulbous, while male flowers just have a straight, narrow stem. It may be tempting to grow the biggest zucchini on the block, but it is best to harvest this squash when it reaches six to eight inches in length. This is when it will be most tender and delicious. Larger fruits are nice to look at, but the skin will be tough and the flavor will be bitter. Be sure to gently peek under your plants’ large leaves to hunt for the zucchinis that are probably hiding under them. When you harvest zucchini, use garden shears to gently cut them from the plant. Do not simply pull or twist them off, since this could damage your plant. Harvesting zucchini often will generally lead to larger harvests from each plant overall. Remember that you can also harvest and eat some of the male blossoms – just be sure to leave enough for pollination. While zucchini plants are easy to grow, there are a few common problems you may encounter. The issue you are most likely to deal with is powdery mildew, which looks like a white coating of powder on the leaves. To avoid powdery mildew, water early in the day, dry the leaves of your plants if it rains in the evening, make sure your plants have enough space between them to allow for proper air circulation, and be sure to plant your zucchini in a spot where they will receive a minimum of six hours of full sunlight every day. Taking these steps will not guarantee that you will not get this common fungus, so you will also need to be ready to treat it if it occurs. While it can be difficult to get powdery mildew under control, organic gardeners have two simple options: potassium bicarbonate and sodium bicarbonate. You can purchase a product with potassium bicarbonate at your local nursery or you can make your own anti-mildew spray by mixing one teaspoon of baking soda and a few drops of liquid dish soap with about one quart of water in a spray bottle. Squash vine borers are another common issue, but you can reduce your risk of borers laying their eggs at the base of your zucchini plants by waiting to sow your seeds until July. An annoying but easy to spot problem is squash bugs. These small bugs can be spotted sucking the life out of your leaves and will most likely need to be manually removed. These are tough little guys that are not phased by most pesticides. A lack of calcium can cause blossom-end rot, but adding calcium to the soil will not take care of this problem. The best way to avoid this issue is to water your plants consistently because your plants get their calcium as they absorb water from the soil.